Re-Creation Retreat has a unique therapeutic approach and philosophy which helps troubled girls get their lives back on track. – boarding schools therapeutic and therapeutic schools for girls. Our therapeutic approach and clinical philosophy is unique and based on proven results over time. We offer a clinical treatment program specially designed for girls, utilizing the very best therapeutic modalities available. At Re-Creation Retreat we use a personalized and relational approach with each student, treating each girl as an unique person with special needs. Our ability to tailor our program to address her unique needs makes us different from all the rest. Re-Creation Retreat has developed an integrated treatment approach for girls with self-identity and self-image issues. Our caring and nurturing therapeutic response is very effective with girls who are struggling with self-worth. We provide therapeutic care for the underlying injuries deep within the girl. We approach our students and deal with sensitive issues – we do it without the shame, guilt, or need for approval. One of our main goals is to educate our girls about healthy relationships with clear appropriate boundaries. All too often the girls we serve do not know what a healthy relationship is supposed to be like. Through our community-based program, supplemented with Cognitive Behavioral Therapy, Group therapy, and positive peer culture, our girls grow and thrive. Girls enrolled into Re-Creation Retreat go through an initial observation and assessment phase supervised by a licensed clinician. A comprehensive risk assessment will be made based on observations of behavior, individual history, bio psycho social, and other pertinent evaluations. Once the assessment is complete a clinical treatment plan is developed for each girl. Clinical treatment goals will be established in order to set forth the treatment protocol. The development of the treatment plan is individualized and based off of the findings of our comprehensive assessment. The clinical treatment plan will integrate treatment and academic support. Through our approach to treatment our students are encouraged to take full responsibility for their own treatment, starting by participation in the initial development of the treatment plan. Our girls develop the ability to display true empathy for others. This is crucial for full recovery and restoration. Empathy and concern for others is vital to full family restoration. Empathy, understanding, and deep concern for others is an outcome we focus upon from day one. Without empathy and concern for others it is impossible for a young lady to embrace treatment and expect growth or healing. 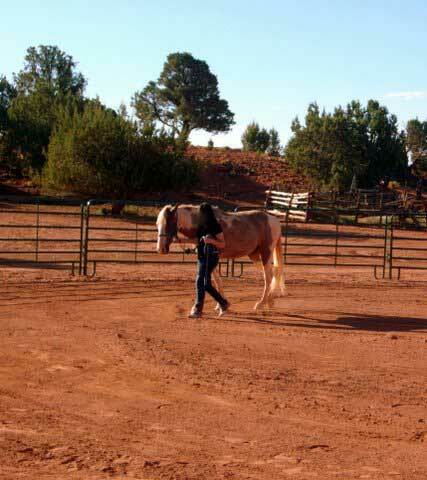 Re-Creation Retreat provides experiential activities such as equine therapy, horsemanship, animal responsibility, gardening, cooking, and prosocial recreational activities. We use real world experiences to bring fort the opportunity to use the tools they are learning in the program and through their treatment. It is extremely important that the activities our girls participate in during their stay with us translate into the real world when they return home. We can also help you in your search for other private boarding schools, boarding schools, reform schools, boarding schools with therapy or affordable schools. Re-Creation Retreat is a therapeutic boarding school for troubled teenage girls offering teen counseling for girls with adoption issues (reactive attachment disorders), self-harm (self-mutilation) or cutting, or eating disorders (anorexia, bulimia, anorexia nervosa). Other behavioral issues we deal with include: depression, post traumatic stress and anxiety. If you have an out of control girl, please consider this school for troubled girls that offers teen counseling and teen counselors for troubled girls. We offer counseling for troubled teens and out of control teens. We especially work with RAD girls and troubled girls who are adopted. Homes for troubled teens and boarding schools for teens don’t typically offer teen counseling and therapy, but we do. Among the best therapeutic schools with counseling – also referred to as “schools for troubled teens”. Re-Creation Retreat has a unique therapeutic approach and philosophy which helps troubled girls get their lives back on track.